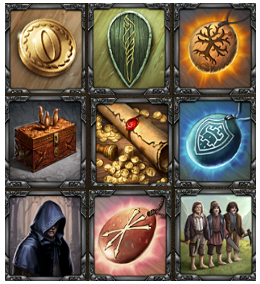 Another addition to the beginners articles; in this article are listed virtually ALL in-game items you will encounter playing Kingdoms of Middle Earth. From chests, to Hero’s Glory, and from Hobbit building crew to Rune of Fury, this list gives an extensive overview of the items you use in the game, what they do exactly, and what they cost if you want to buy them in the shop (provided of course the item is for sale). Items are listed in the categories: Battle, XP, Campaign, Hourglasses, Chests, Construction and Resources, Tournaments and Various . Hop on in! Lets start first with mentioning the items that are NOT on the list. First of all of course, items I haven’t seen in the game are excluded. Secondly, I left out the resources from the shop, as I deem those a bit redundant, but all other regular items and chests are mentioned. This also means that chests that have been available temporarily are excluded due to a lack of data. 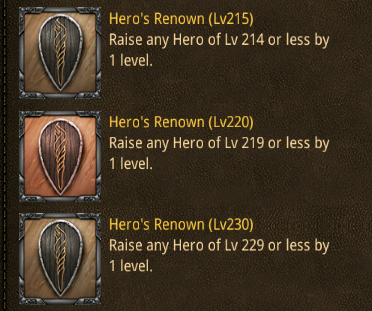 Thirdly, Hero equipment pieces are left out, as they are fully mentioned and detailed in their own article. I if I do happen to have forgotten anything, please let me know and I’ll add it in as soon as possible. Without further a due, here are “all” in-game items. 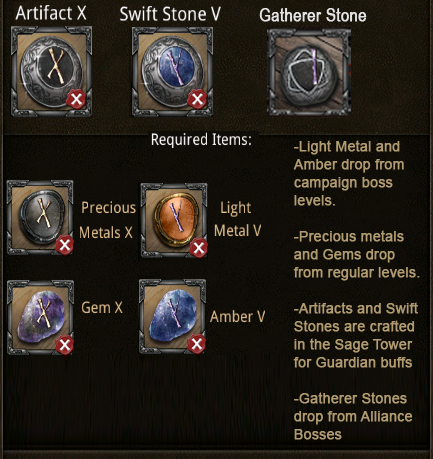 Prizes are listed in euro’s (sorry), and reflect current prizes of the items (march 2014), assuming Mithril is bought in the 1600 package. Search for item names of categories listed in the overview below for easy finding. 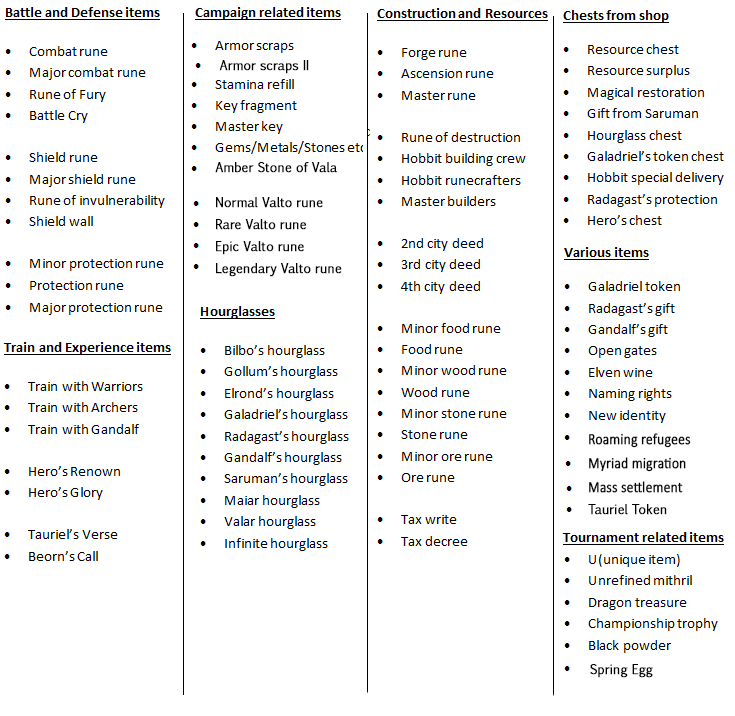 This entry was posted in Articles, KoM 101 and tagged amber, armor scraps, ascension rune, battle cry, bilbo, black powder, championship trophy, combat rune, dragon treasure, elrond, elven wine, food rune, forge rune, fourth city deed, Galadriel, galadriel toke, Gandalf, gandalf gift, gatherer stone, gift from saruman, gollum, HBC, hero chest, hero glory, hero renown, hobbit building crew, hobbit runecrafters, hobit special delivery, hourglass, hourglass chest, infinite, items, kabam, key fragment, kingdoms of middle earth, KoM, list, magical restoration, maiar, major protection rune, master builders, master key, master rune, naming rights, new identity, open gates, ore rune, precious metal, protection rune, radagast, radagast gift, radagast protection, resource chest, resource surplus, rune of destruction, rune of fury, rune of invulnerability, Saruman, second city deed, shield rune, shield wall, stamina refill, stone rune, swift stone, tax decree, tax writ, thrid city deed, token chest, train with archers, train with gandalf, train with warriors, u, unique item, unrefinde mithril, valar, wood rune by beardmonkey. Bookmark the permalink. I think you left demount runes off the list, but I may be mistaken and can’t see them. What’s useful the elven wine? what is the significance of the “choose your won path” item? it pops up in sages tower sometimes. What is the WAILING WAR CRY. Some people got it on server 160. Does anyone know what happens if you use a train with beorn on a lvl 199 hero? Train with Beorn gives hero 150000 experience points! I won one today. Train with Tauriel gives hero 100000 exp points. Any idea what train with tauriel or train with beorn are? Saw them in today’s Monday chest, not really sure what they do. Beorn gives one hero 150,000 exp, Tauriel gives one hero 100,000 exp. As of yet untested on effect if used at Lv199… my numbers say it could made a Lv235, but Im not sure if that is possible of if system would kill the extra exp. at Lv199 Beorn would take exp to 547980 or Lv 235… (hero Lv are equal to last lv + 20)… Would love to know, I’m saving one TwB just for this – currently hero is at Lv156. Best is to wait until “premium chance” for one token event happens. I got like five HBC from different chest during once such event and a mad amount of might too. Events are random, but usually once or twice a month. Where do you get a beorns call or tau riles voice? 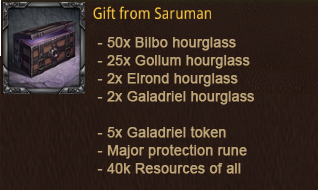 I got a new item today that isn’t listed here yet: Roaming Refugees. It is basically the same as Open Gates, but it adds 5000 to your population instead of 1000. By the way, thanks for your posts – they’ve been really helpful! unique item var bende de bir türlü ne işe yaradığını çözemedim bilen arkadaşlar varmı? I see you have Tauriel’s verse on there. I got her in my c4 but cannot use her… How do you do that ? I actually dont know. I havent acquire either of them. Your supposed to use them on Beorn and Tauriel, so maybe click the XP button in Great Hall city 4 on them? 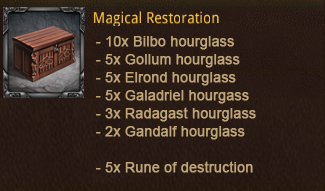 yes definitely, they will start dropping form camps (relics) sooner or later, so hang on if you dont want to spend the money. Glad to be of help!